And it's jam-packed full of advanced tech. Volkswagen is fully aware that in order to increase its market share in the US, Europe and China, it needs more SUVs and crossovers. One answer is the T-Prime GTE Concept, which is making its official debut at the 2016 Beijing Auto Show. A concept, yes, but it heavily previews an upcoming production version that will be built in China. Described as a "premium class SUV" with seating for four, the T-Prime GTE concept is a plug-in hybrid with all-wheel drive as well as zero emissions. The engine itself incorporates an electric motor, turbocharged gas engine and a battery. 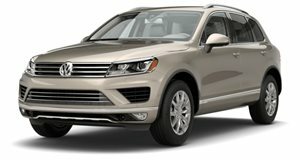 VW points out that the T-Prime GTE is also a very versatile vehicle: comfortable like a sedan, spacious like a wagon, agile like a sports car, and efficient like a compact. Speaking of which, the concept is practically silent in its electric E-Mode. It also has a range up to 31 miles. Total output is rated at 375 hp. But what’s really interesting here is the interior, which features completely digital displays. There are no conventional switches; all have been replaced by gesture and voice control, a 12-inch touchscreen, 15-inch infotainment head unit, and touch-sensitive surfaces. Cool. VW also says the T-Prime GTE is the first car in the world to have what’s called a Curved Interaction Area, essentially a curved infotainment display that blends in with the displays. Even the eight-speed automatic transmission is controlled intuitively "by wire" using a glass scroll wheel. 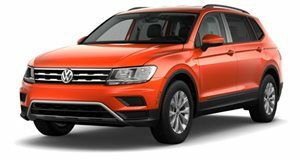 VW is giving a good indication that a production-spec version will come to the US and it’ll definitely slot above the Tiguan. It'd join the Touareg in the mid-size SUV class. The also recently shown T-Cross Breeze concept is yet another new VW SUV/crossover that'll head to production in the coming few years.